In trend of the interior design imagination don’t have the limits, for designed our home, is good to use some simple element and more modular interior design parts for more space and beautiful aspects. The interior design architect and designer Steven Belgian Wittouck Cross has designed the tables for the publisher Moca, is one coffee table has the criss-crossed frame similar to the side table. 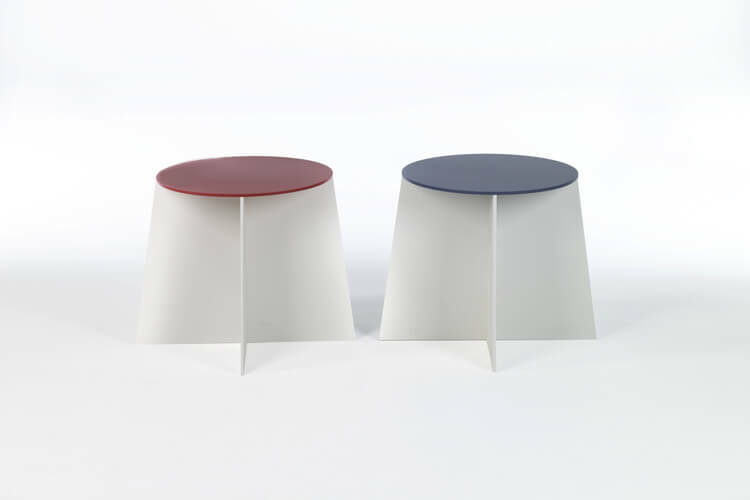 The tabletop is available in red, blue and slate grey.